Flowers commemorate longtime Friendship Baptist Church member Freddie Davis who died Wednesday after he was caught in a house fire on the 1900 block of Hartrey Avenue. The Evanston man who died after a house fire last week never hesitated to lend a hand at the church across the street from his home, congregation members said. Retired city worker Freddie Davis was an honorary member of Friendship Baptist Church, 2201 Foster Ave., where he helped out by taking out garbage, sorting mail and restocking church supplies. Davis was born in Louisiana and had relatives who lived near him in the 1900 block of Hartrey Avenue, Williams said. The fire broke out Wednesday evening on the first floor of Davis’ residence, according to the Evanston fire department. Davis was taken to Evanston Hospital in critical condition and was later pronounced dead. 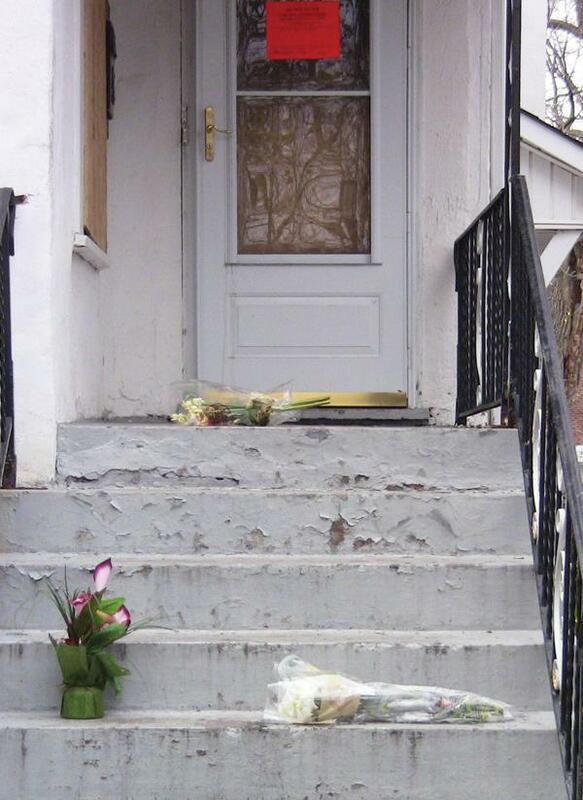 Davis’ family has boarded up his home, and a few bundles of flowers rest on its doorsteps. Associate deacon Anthony Swope described Davis as an “unselfish giver” who was dedicated to community service. “All I ever know of him is his contributions to try to help somebody else’s quality of life,” Swope said. Davis also volunteered at local food pantries, neighbor Kelly Young said. Swope said while he was cleaning up the church Saturday night, he forgot for a moment Davis was not there to take out the garbage.